Case Study for Family Use of ADHD Art Guides: How ARTGuides Helped Jenna Overcome Homework Frustrations and Challenges | Navigating ADHD Inc.
Jenna is a 12 year old diagnosed with ADHD, Inattentive Type. While she enjoys school, when it comes to homework she was miserable. Her biggest complaint was that it took up too much of her free time. 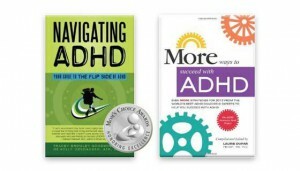 Her mom consulted us at Navigating ADHD, Inc. because she was also fed up with homework time for Jenna. She described the afterschool hours at her house as a nightmare because Jenna would complain about the amount of homework she had. Once she actually sat down to complete the assignments, she would race through them, often making careless errors or forgetting simple things like labeling the measurements on her math answers. Jenna thought about what she needed to do differently to be successful. Creating the bookmark provided this opportunity and served as a tool for helping her reach her goal. She decided to place the bookmark in the homework section of her binder so she would always see it. The repetition of the message helped to solidify the new skills in her brain so she could follow through with all of her future assignments. After about a month of using her reminder bookmark, Jenna and her mom both reported that homework was a lot less draining because she was getting positive feedback from her efforts. Jenna loved her bookmark and proudly stated that she came up with an additional project to help her avoid careless mistakes. She used dry-erase duct tape and cardboard and made a little whiteboard for her desk. Before each test, she rewrote the 3 reminders on the board as a tool to help her anchor that skill in her memory. As time went on Jenna developed other creative tools to help her stay organized and manage her time. It’s not at all surprising to us at Navigating ADHD, Inc. when our clients come up with amazing and clever projects all on their own! Click here for more information about ADHD ArtGuides.